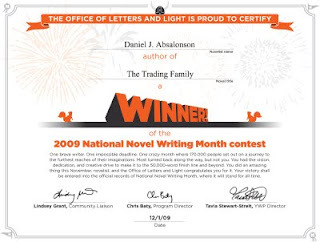 In 28 days I was able to write 50,000 words. It was the most fun I've ever had writing, and it showed me just how productive I can be when I put my mind to it. I bought a watch recently in hopes that it would encourage me to start running again, also I have become sick of lumbering my cell phone out of my pocket just to see what time it is, a flick of the wrist is much better. I haven't owned a watch in half a decade, mostly because I thought it detracted from my punk rock look. I’ve since begun to dress normal again. Now I like the way a watch dresses up my wrist a bit. Suffice it to say I had not owned a watch in such a long time that I forgot what the chime feature was. When it's turned on your watch will beep on the hour. Why would I want my watch to beep every hour you ask? To remind me. To remind me that this life is short and time is flying by. I’m going for that same feeling I get after leaving a funeral. I’m not talking about the sense of loss or sadness, but the realization that this life is short and someday I'll be dead too. Don't let that statement depress you, but rather spur you on to live your life with fervor. This encourages me to stop living in the moment, and start living my life productively. If you have goals or aspirations, start working on them now instead of watching TV every night. All of those sayings about how fast time passes you by are true. The older you get the more you realize it. When you have kids, you see it even more easily because they grow up so fast. So remember your time is precious and that you should use it wisely. Every time my watch chimes I can't believe another hour of the day has gone by. I've heard a lot of writers say in interviews how important it is to write every day. I've always thought, well that would be nice, but I just don't have the time. 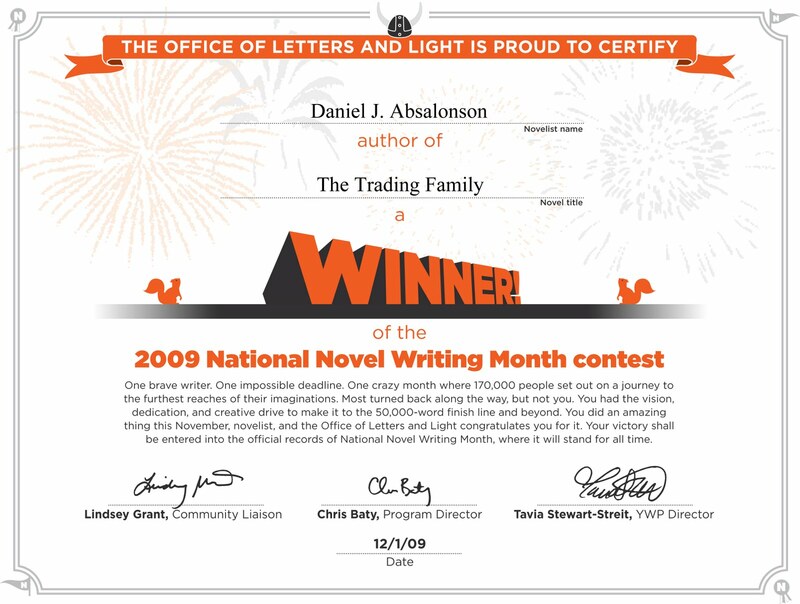 This month I've been doing NaNoWriMo and its shown me how great writing everyday can be, and that for the most part I can make the time most days. I still don't think you need to write everyday to become a pro, but I do think it helps a lot. It's so much easier to stay in the story when you approach it again every day. Also, I am able to chip away at writing a novel. Even if I only get 500 words in on one day, three more days of that is 2K! I think this method will work much better for me than waiting for free time to sprout up, where I can feverishly write as much as possible in 1 to 2 hour spurts every other week or so. So moving forward, I am going to try and write, or edit, something every day. Once I finish this nano novel, I'm going to start editing the first novel I wrote, get it in the hands of readers, get feedback, heavily edit it multiple times and then podcast it! I can't wait to start that process, it will be very exciting. I have a lot of experience recording voices and instruments, as well as editing audio from going to art school, being in bands, and I've edited audio and video professionally at work as well. So it should be something to listen to once it's out there, though I know we'd all rather have decent audio with a great story, than a crappy story with great production, so I hope the story is what will keep people coming back for more. I'm going to say it will be late 2010, but we'll see. My wife is gearing up to coach a lot of away gymnastics meet and I might find myself with a lot of freetime on the weekends, I know exactly how I'll use that time!